As of 13 December 2014, it will be compulsory for non-pre-packed foodstuffs as well to give correct allergen information to consumers. LabelFresh makes it easy for you to meet this legislation by developing a special label containing all 14 legally established allergens. 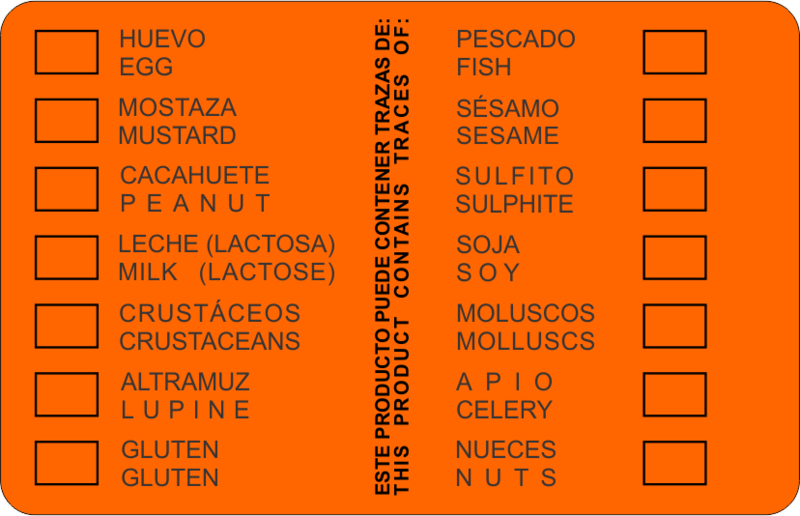 On this label, all 14 allergens have already been pre-printed so all you have to do is check the relevant allergens!